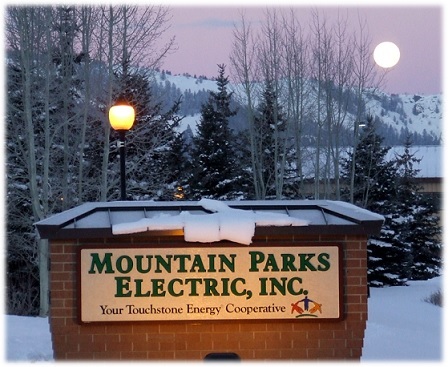 Mountain Parks Electric (MPE) is our local electric cooperative and is governed by a Board of Directors. The business and affairs of the Cooperative is managed by a Board of seven (7) members (sometimes reffered to as “Directors”). The Board exercises all the powers of the Cooperative except those powers conferred upon and reserved to the members. Each board member represents a defined region where they live. Each candidate for election to the Board shall be a member of the Cooperative and shall have his/her “main home” in the District they represent and only residents in that region may vote for that Director seat. The term for each director position is 4 yerars. MPE has two elections this year – one was uncontested, the District 3 board seat (Jackson County area) held by Carl Trick II, Asst. Secretary/Treasurer. Carl is a long-time resident in North Park. The ranch that Mr. Trick is president of has been an MPE member since the first lines were run in North Park. (1946) Carl is MPE’s representative on the Tri-State Generation and Transmission Association Board. This year, there are two candidates running for the District 1 board seat (Fraser/Tabernash area – East side of US Highway 40): Peggy Smith and Kristen Taddonio. We ask each member to tell us about there background and reasons for serving. Ballots are out in the mail or you can stop by Mountain Parks Electric Main Office at 321 West Agate Avenue, Granby, CO 80446 or call 970-887-3378 for details. I moved to the Fraser Valley 20 years ago with my husband, architect Peter Nelson and my two sons. As a Denver native, I learned to ski at Winter Park over 50 years ago. I graduated from the University of Colorado and have an MBA in Finance from the University of Denver. Professionally, I am realtor with Real Estate of Winter Park, I have been a general contractor on 6 custom homes and the Events Manager for the Winter Park Competition Center. I have been active in the community, as the former Mayor of Fraser (2012-2016), Winter Park Fraser Chamber of Commerce Board member (2010-present), Winter Park Ski Education Foundation Board member (2010-present) and Winter Park Fraser Valley Rotary Club President (2017-present). Please see peggyformpe.com for more information about me and Mountain Parks Electric. 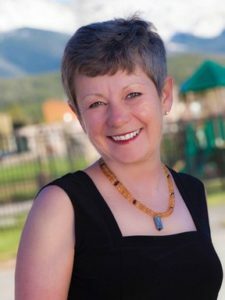 Why do you want to serve on Mountain Parks Electric Board of Directors? I have had the privilege of serving on the Board for the past 3 years. During that time, we have seen renewable energy becoming more affordable, the demand to reduce greenhouse emissions has increased along with the desire to make energy costs more affordable and high-speed internet has become an essential component for economic development. Solving these complex issues are the biggest challenges that the MPE faces. I believe my background as a community leader and my professional experience have enabled me to effectively represent the membership in the Fraser Valley on Mountain Parks Electric Board and I would like to continue to serve the community for another 4 years as your representative. Are you good at managing money? How would that help you help our electric cooperative? I am good at managing money. The best example is my experience of being a general contractor where I was responsible for managing the construction schedule, hiring subcontractors, order supplies and paying all the accounts payables for multiple projects each with budgets in excess of $1M. Although, I think being able to manage money is a important life skill, I don’t believe it is the most important skill needed to be a director for MPE. As a director, our primary responsibility is to establish policy and the strategic planning direction for MPE. I think having the skill set to be able to analyze complex financial statements and evaluate industry ratio’s along with the critical thinking skills that I learned while getting my MBA in Finance have made me a more effective director. What are your thoughts on clean/renewable energy? When it is economically advantageous, I believe that renewables should be part of MPE energy portfolio. I supported a collaborative effort with Rocky Mountain Institue to pursue a one megawatt solar array in Jackson County on property owned by MPE adjacent to our substation. The Whiskey Hill project is slated to be built this summer. I also support continued negotiations on a second solar project located near our Mettler substation just west of Fraser. Together these two projects will generate enough electricity to power 600 homes. MPE is bound to its current wholesale energy provider, Tri-State Generation and Transmission by contract through 2050. The contract allows MPE to generate up to 5% of our energy through local renewable projects. With the competition of the two solar projects we will be at 3.3% . We are and will continue to work collaboratively with other Tri-State members and Tri-State to expand Tri-State’s renewable portfolio and increase the opportunities for local renewable projects. I believe that Tri-State should develop a plan to meet the renewable goals set forth by Governor Polis. I believe that MPE has the capacity to play an integral part in providing high speed internet to our members. The MPE board has approved construction of a fiber optic backbone that will begin this summer. This fiber optic infrastructure will allow secure real time communication amongst assets on our system. The infrastructure will literally be the backbone of MPE’s grid of the future. It will allow more robust demand response programs and help MPE manage wholesale power costs. In addition, it has the potential to be part of a platform to provide high speed internet to our members. Hello, I’m your neighbor Kristen Taddonio from Fraser. I’m running for the Mountain Parks Electric board because (1) I value the cooperative ideal of neighbors helping neighbors, and (2) I have experience that can help us responsibly pursue renewable energy and efficiency opportunities while providing reliable, affordable electricity. I have a master’s degree in science & technology policy and started my career at the Energy Star program, which has helped families and businesses save $362 billion on utility bills since 1992. I later joined the U.S. Department of Energy, working with our National Labs to research and develop innovative energy efficiency technologies. If elected, I’ll put my skills to work for you: Are your electric bills too high? Let’s talk with Mountain Parks about how to lower them. Want to go renewable? That’s great—ask about Green Power Fund incentives. Looking for the most efficient appliances? Let’s help you find them. Member-owned cooperatives exist to serve their members, after all. You come first. 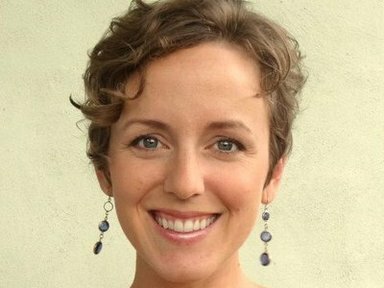 Why do I want to run for the Mountain Parks Electric Board of Directors? I value openness, transparency, and I like the cooperative ideal of neighbors helping neighbors. I have a specialized skill set that makes me uniquely qualified to help Mountain Parks Electric deal with the challenges it will face (and value the opportunities it can embrace!) in the years ahead as dropping renewable energy prices disrupt the traditional utility business model. A cooperative is supposed to exist for the benefit of its members, and competitive elections assure that directors remain focused on the needs of constituents they represent! Yes. As a small business owner, I am responsible for managing cash flow, paying contractors, and making sure the bills get paid on time. In my previous position as a team lead for commercial building technology deployment at the US Department of Energy I was responsible for overseeing the responsible implementation of a $30 million annual budget and multiple contractors, grantees, and National Laboratories. I excel at finding ways to get more bang for the buck. Investigating lower-cost wholesale power providers. Smart shoppers get multiple quotes! What’s not to like? Grand County is rich in renewable energy resources, and renewable energy in Colorado is now the cheapest way to generate electricity since costs have dropped so much. Fun fact: solar panels work better in the cold and at high altitudes, so Grand County has among Colorado’s best solar energy resources. We’re rich in renewable energy, and prices have dropped so much that our Cooperative is considering several local projects that would harnessing our very own resources while saving money and investing locally. We also have several local installers if you’re thinking of going renewable, and Mountain Parks Electric has a Green Power Fund supported by voluntary member contributions that might help offset some of the costs. I think our electric cooperative should explore all opportunities to harness our excellent renewable energy resources in a way that is affordable, reliable, and safe, and respect our members’ desire to do the same instead of trying to prohibit them from doing so. To be honest, I think there’s a lot we can to improve our balance sheets by focusing on our energy supply and energy demand-side management; that would be my first priority as a board member. I’m meeting with people about broadband investments to bring myself up to speed. I want to be sure that whatever we do, it’s meeting a real need for District 1 members.